Freaky Fanatics Show Off Their Paintings! As you know, I did a lot of painting for clients recently and I was so happy when I received some photos from both clients showing off how they displayed the paintings in their homes. The massive 3 piece set I called Equinox now fills what was a very large empty wall space in my Uncle’s home. Instead of separating the pieces they decided they liked the image so much (as a whole) they hung it like it was one very large painting. The great thing about this set is if they ever get bored of that look they can change it. It was made so they can hang it with as much space in between the paintings that it will still make one large image. They can even hang them on separate walls in one room and have 3 separate paintings that match. The possibilities are endless…. I also received this spooktacular photo of Play Dead on display in my other client’s home. 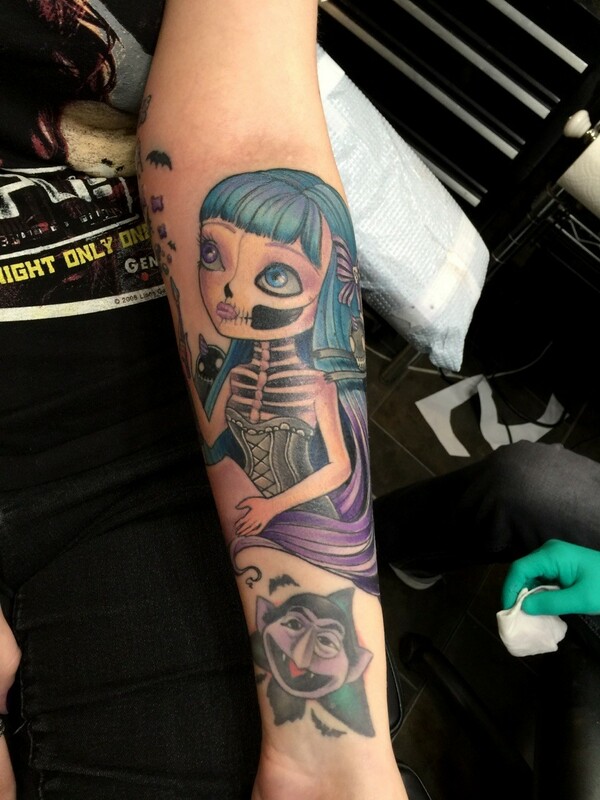 I am honored to have my work among so many other amazing Tim Burton inspired pieces. It’s like Gabby has a little piece of Beetle House right in her living room! 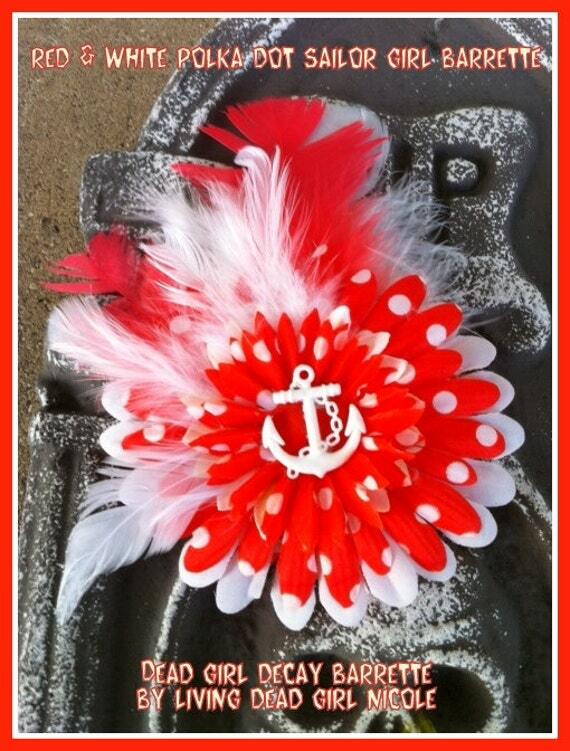 See these along with my other happy customer photos in the Freaky Fanatic slideshow on my website. 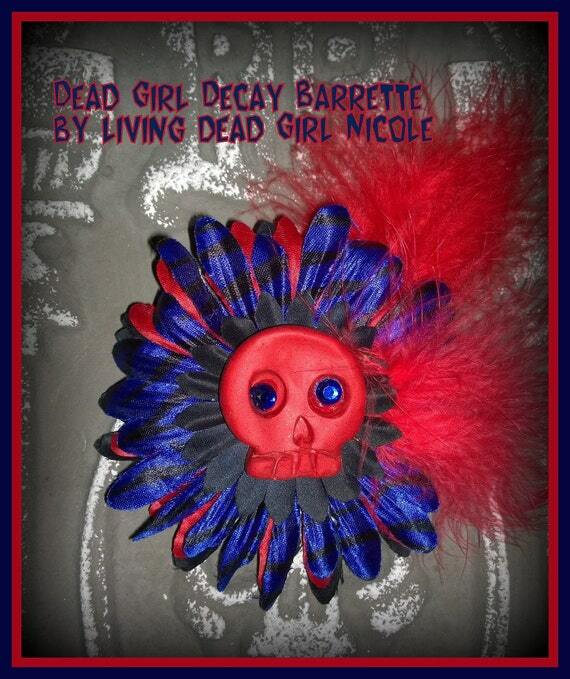 Have a photo of your Living Dead Girl Nicole creations? Contact me to be featured! As you know, I love commission pieces and this last request I received was right up my alley. Gaby contacted me looking for a painting of Scraps from the Corpse Bride and Zero from Nightmare Before Christmas. 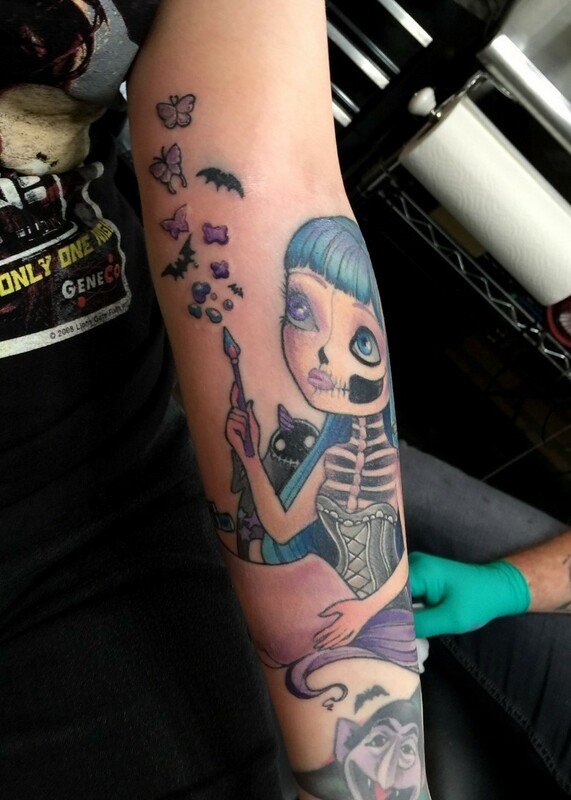 As a fellow Tim Burton geek she knew I was the artist for the job. I finished the piece and sent photos to Gaby for her approval. I could not have been happier with her response…..
And here is the completed piece, I call it “Play Dead”…..
See more of the paintings I have done in the Drippings section of my portfolio website and make sure to contact me if you are interested in your own custom piece of artwork! So it’s time once again for the Annual Vampire Day Soiree.. a celebration of all things vampy and shared amongst us bloggers on Valentine’s Day! So in celebration here is a collage showing some of my vampire inspired creations amongst photos of meeting some of my favorite vampy celebs! Comment letting me know what photo sticks out most to you and why you like it best! Now don’t forget to go over to the event page so you can hop along the rest of the blogs participating in today’s soiree! Go show them some blog comment love this Valentine’s Day! Remains: Vending Is Hard Work! So I haven’t posted much more about preparing for my 1st vending event because I have been super busy preparing for it. Ever since we have been back from our Philly vacation, every weekend has been dedicated someway, somehow to preparing for the show. With working a full time job the weekends are my best time to dedicate to all of this. I have been making new limited edition products (that will only be available at the show), up-cycling things for my display, shopping both in store and online with my mad budgeting/deal finding skills, researching helpful blogs for 1st timers and brainstorming (with mad lists) of what I need to make this all happen. I actually had to make myself take a break from it all to do my “We All Have Our Flaws Kitten” Denis O’Hare portrait. With him being added to the con with only a month to go I had to stop the presses and make it happen! Because well I love him and priorities ha ha. For instance.. here you will see a before and after shot of a ornate, framed coin display that she picked up for only $3.00 (and she picked me up 3 of them!! Score!). All I had to tell her was ornate frames that I could up-cycle and she was on it! 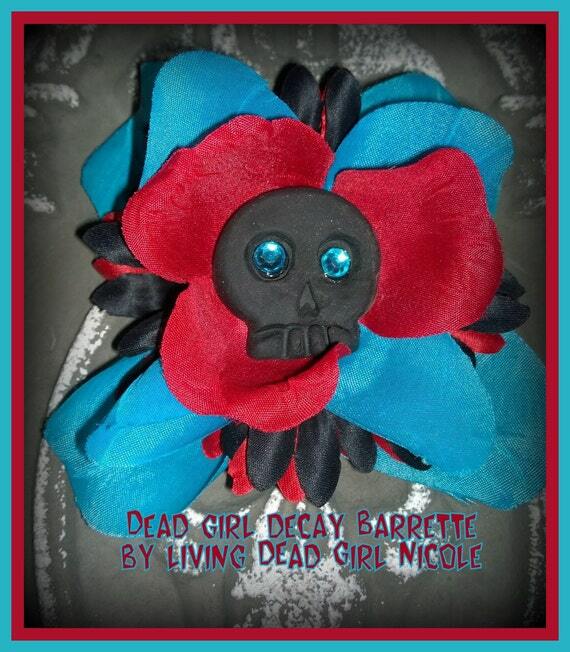 The one on the right is after my husband and I completely transformed it into a purple and black gothic display for my Dead Girl Decay Barrettes. Much more my style and matches my overall brand identity. For some additional brand identity I made mention of dying our old ivory colored bat shower curtain purple. She had some free time and actually dyed it for me. Now it matches the look of my portfolio website! This will most likely get draped over my table. So I had a vision of what I wanted to do for my Custom Order Forms. I wanted a tombstone display that would sit on my table. I wanted it to hold the order forms and atleast 1 pen. I also wanted it to say HERE LIES CUSTOM ORDER FORMS. So I did a search on Etsy to see if I could find someone who could make an affordable base for me. I would then of course be able to paint and decorate it myself. That is when I found Woodloom on Etsy. I told her about my unique display idea and she was thrilled to make it for me. 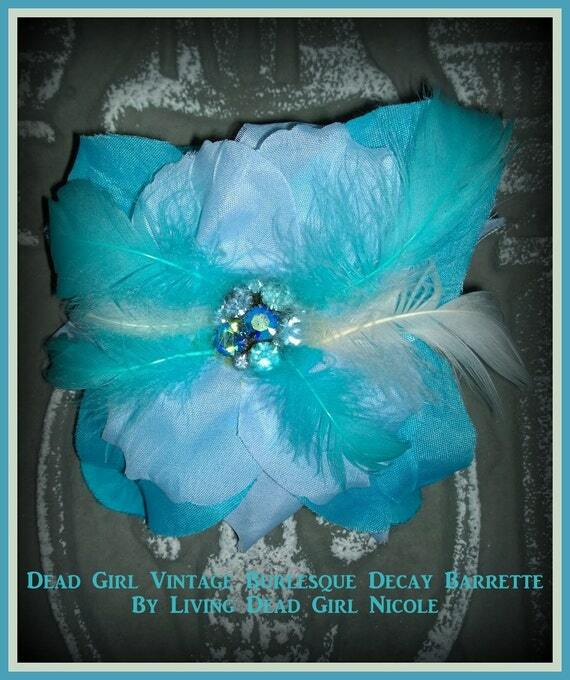 On top of it she was a delight to work with and also went away with one of my Dead Girl Massacre Decay Barrettes. 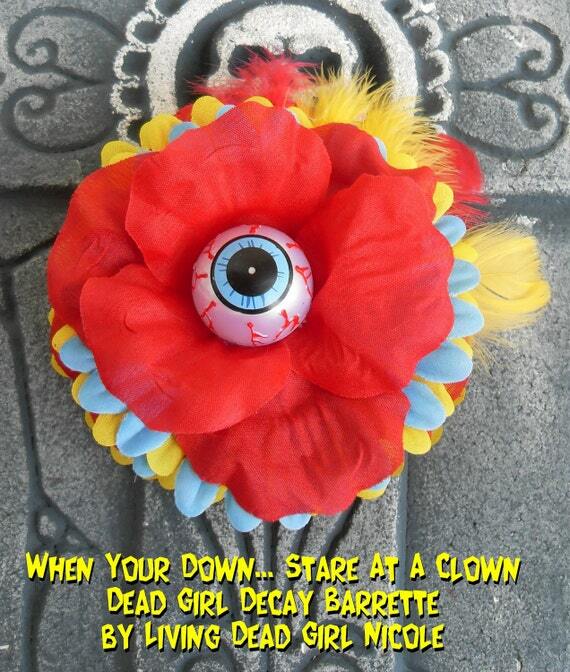 She plans to wear it with her costume at the Haunted House she helps run during the Halloween season! Here is the end result……. So there you have some fun highlights of my vending preparations so far. To top it off this past weekend we let the beast out of winter storage! Frankenhearse is ALIVE and on the streets again! It’s that wonderful time of the year again! This Sunday is Bat Appreciation Day! And you all know with my bat obsession that I couldn’t go without celebrating and not let my Freaky Fanatics join in on the fun! So in recognition of the coolest animal to exist (not living in my house… yet) I am offering 17% on any pre-made, ready to ship item in my Etsy shop. This runs this weekend only! 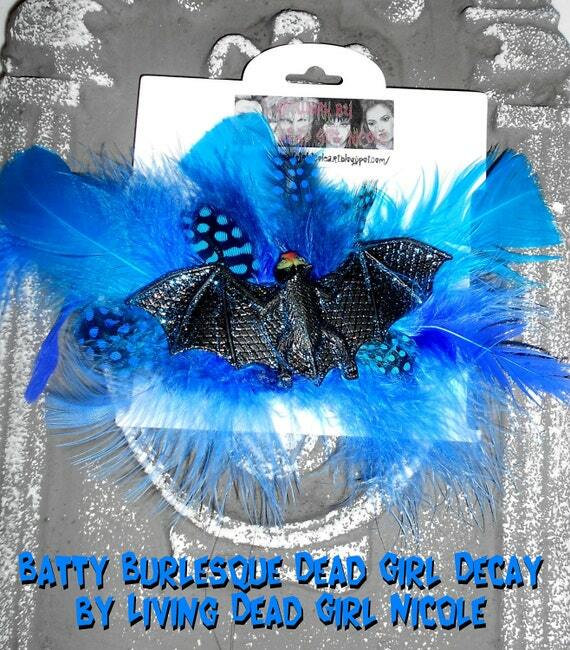 All you have to do is put in coupon code BATTY at checkout! 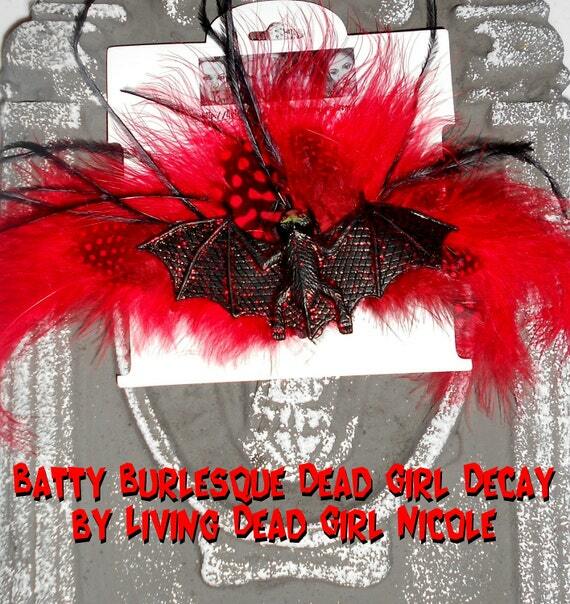 Just for fun….here are some bat inspired creations available in my shop right meow! I had a tattoo done on the top of left arm that meant a lot to me. It represented who I was as an artist. How growing up art has always been my release and escape from the troubles I was facing in my life. 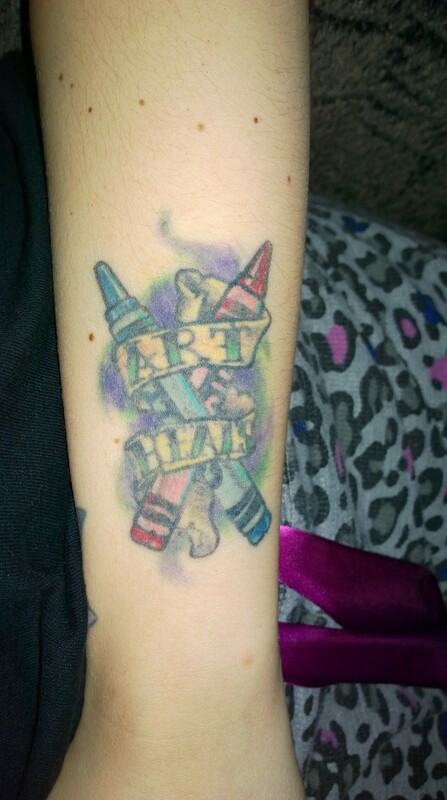 For those who follow my blog or know me I am talking about my Art Heals Crayon Tattoo. I got it 3 years ago and at first it was great but after it healed a pit of regret started to eat at me. Everyday I would look at it on the top of my arm and wish the artist would’ve thought a few things through. Meaning that once it healed it would look a bit different. What happened was the lettering was done so closely to the edges of the banner that when it healed and the ink set to the skin the word HEALS was no longer legible and parts of the banner and crayons just didn’t come out as I expected either. 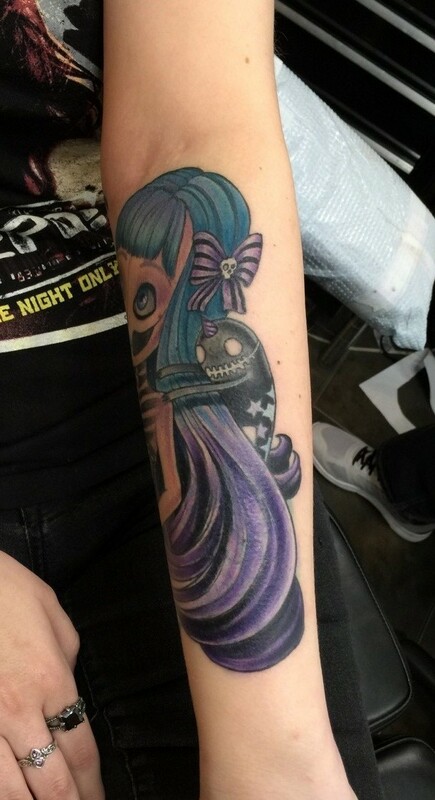 The backgound was so dark it lost some of the focus of the tattoo as well. I hate to admit it but the tattoo was a bit rushed by the aritst leaving me with a tattoo that just didn’t heal the way it could/should have. Having many tattoos I take care of them and they always heal perfectly. I took care of this one just the same.. including sunblock on sunny days like I do my sleeve.. back and arm tattoos. However no matter how well you take care of something a rushed tattoo is never going to be what it could have been. Sad seeing it was one I thought so long and hard about before I got it done. Seeing that was the whole vision and message behind the tattoo, it killed me to be asked that so many times. 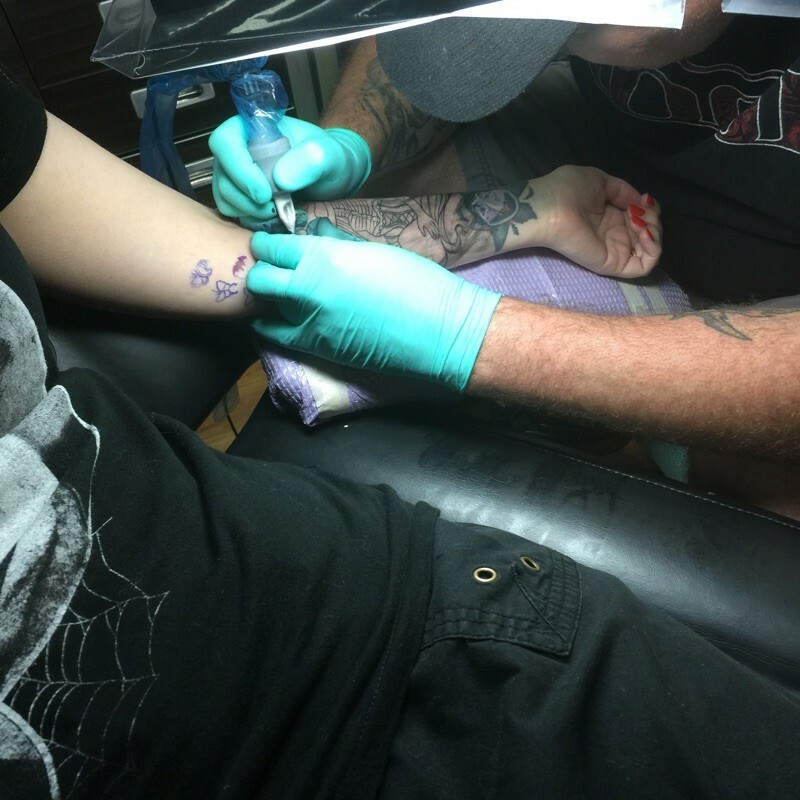 A tattoo with that much meaning should not hold that much regret. It was eating at me so much that I finally decided to do something about it. At first I asked some artists if they could fix it. Most of them told me they could but that as it healed and time went on it would most likely do the same thing. They could brighten the banner and other parts of it up again but there wasn’t much more that could be done. Seeing this was on the top of my arm I wanted to really think this through. I decided to make my appointment for fixing it for now. Even if it was temporary it was better then nothing. I told myself if I found something with just as much meaning that would cover it up then I would go that route with my appointment instead. Ryan Gutekunst was willing to work with me either way and couldn’t get me in until June. That gave me 4 months to figure out what route I would choose. I knew he would be the man for the job because his work is amazing and I had seen cover ups and other work he had done my friends in the past. One day by chance as if it were meant to be I was on Etsy searching for Big Eye Art (because I just love it) and my jaw dropped when I came across a watercolor painting done by an extremely talented artist from Italy….Simona Candini. It just reminded me so much of myself and myself as an artist. Creepy meets cute. 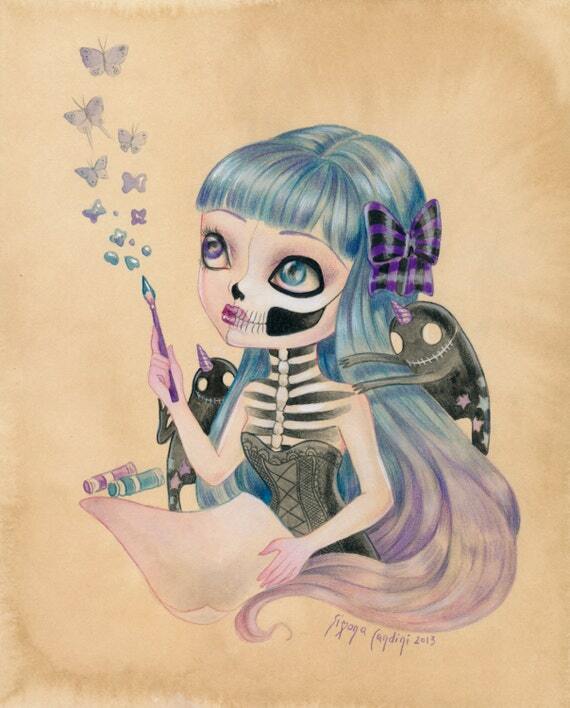 Macabre meets Feminine. You know my whole Jem and Elvira ulter ego personas that make up who I am :). Then I read the title of the piece “Little Demons of Inspiration” and then it hit me… THIS was my cover up! I knew some altering would need to be done to cover up the old tattoo (such as darkening the colors or even possibly changing them) plus out of respect as an artist myself I contacted Simona and asked for her permission to get her work done as a tattoo. She was nothing but supportive and very happy that I wanted to use her piece. She asked me to send her photos. It was set! I let Ryan know and he said it could be done. I could not be happier. 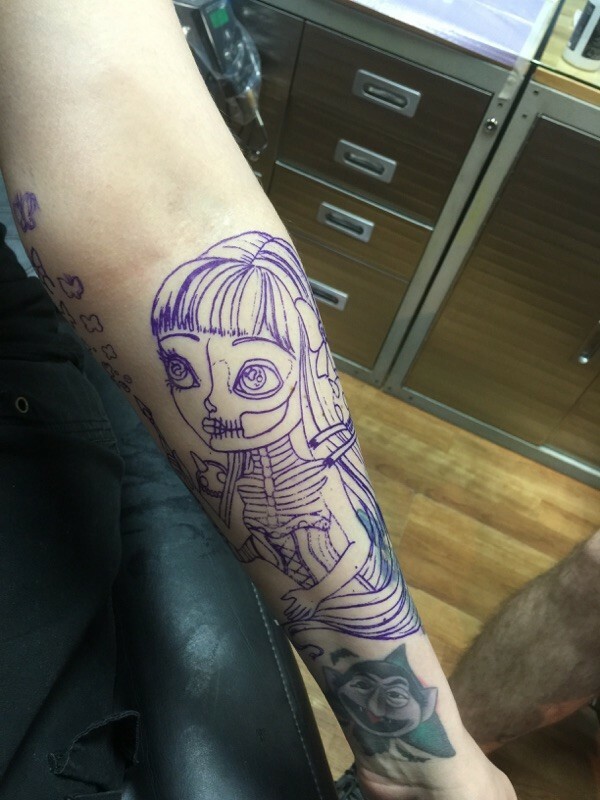 In June I had my first session. 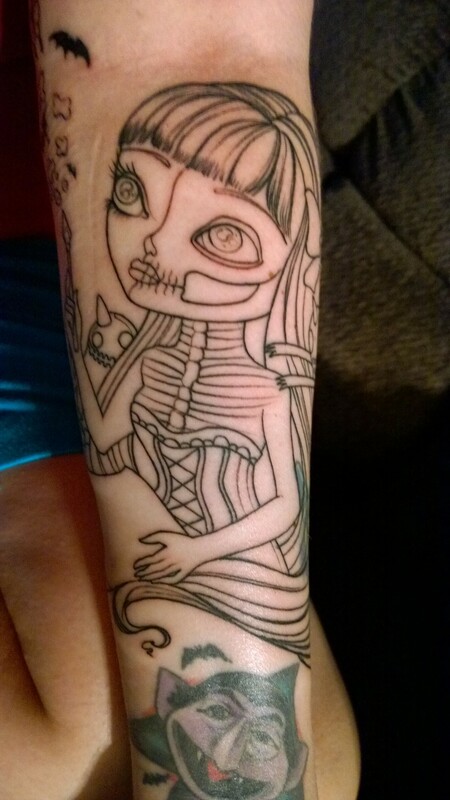 I got the whole outline done. We added a few things. 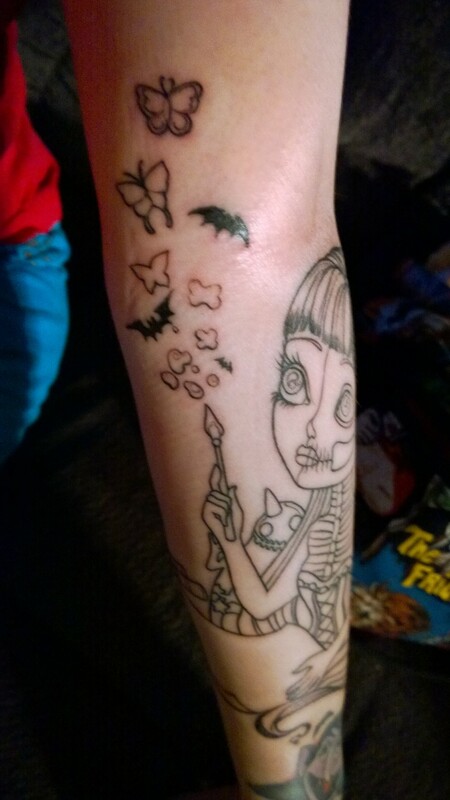 Some bats in the mix of the butterflies coming off her paintbrush to sortof represent me a little more but also to blend with the bats on my Count Von Count wrist tattoo that would be below the new tattoo. 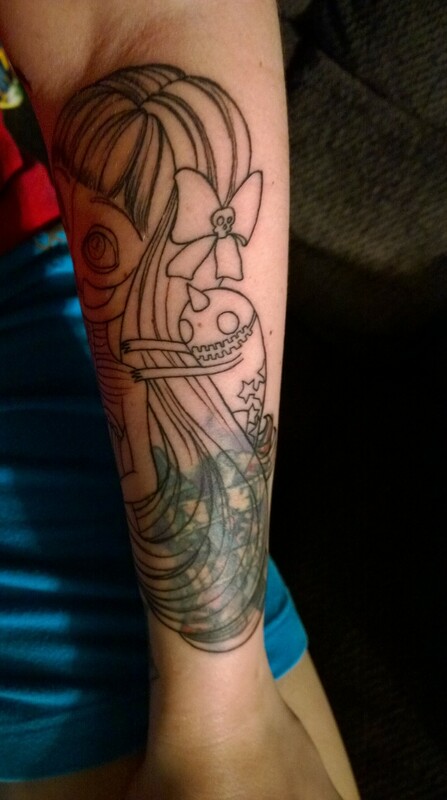 Ryan also surprised me with a little skull added ot the center of her bow! So me! Simona was thrilled with the addtions and even shared the work on her Facebook page. Well I had to wait 5 months to get my next session scheduled because Ryan is so good he is a hot commodity. 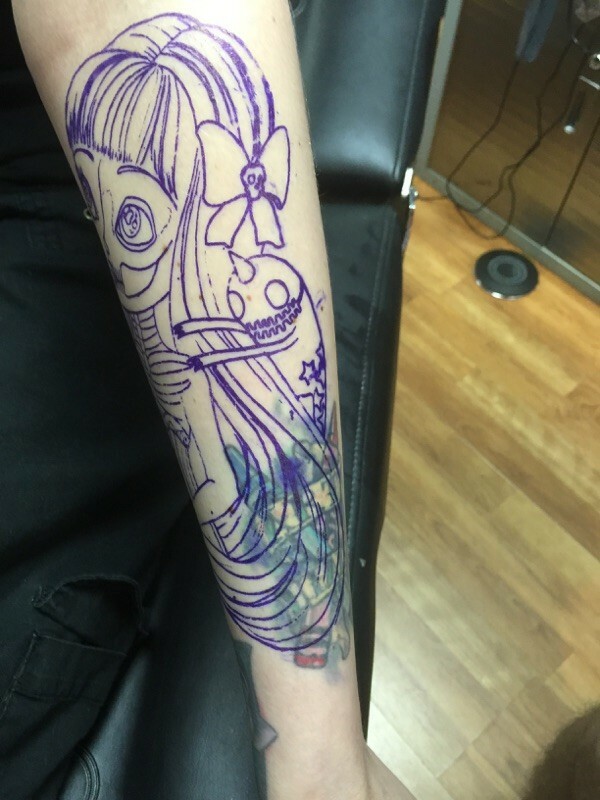 The good thing is that gave the outline a good time to heal so that when he did fill it in he had a nice canvas to work with. Especially with it being a cover up. Well folks my appointment was yesterday and I could not be happier. I may have to go back in for one final touch up once it heals to make sure the old tattoo doesn’t come through. Ryan is smart about cover ups. He starts off light. Waits for them to heal and then adds to them. Some artists like to just go in there super dark and then there is nothing you can do about it later. Glad he knows what he is doing because I could not be happier. My arm hates me and Ryan right now after all the hours of drilling the ink in ha ha (he isn’t heavy handed at all.. just good work takes time and should never be rushed which I learned the hard way with the original tattoo I was getting covered ha ha). I am sure once it’s no longer red, swollen and painful it will be alot happier ha ha. If you are in the Chicagoland area and looking to get work done I highly recommend Ryan. He can be found at Insight Studios! Hit him up! 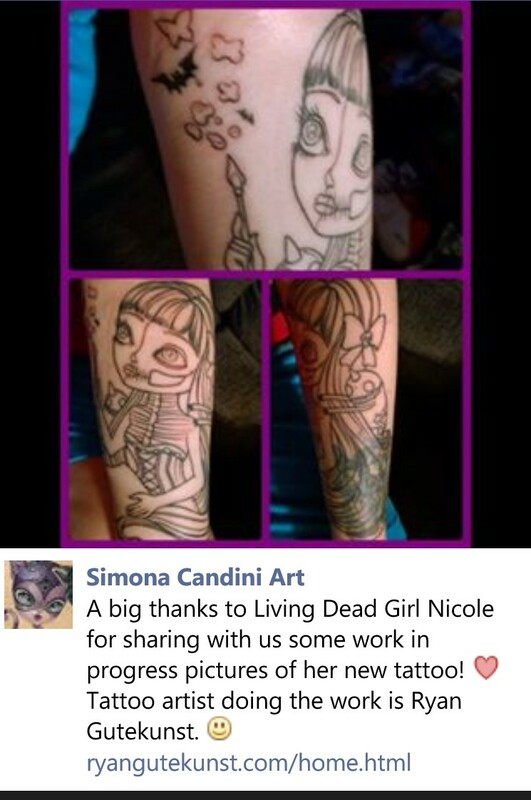 Don’t forget to also check out Simona Candini’s insanely beautiful work as well! 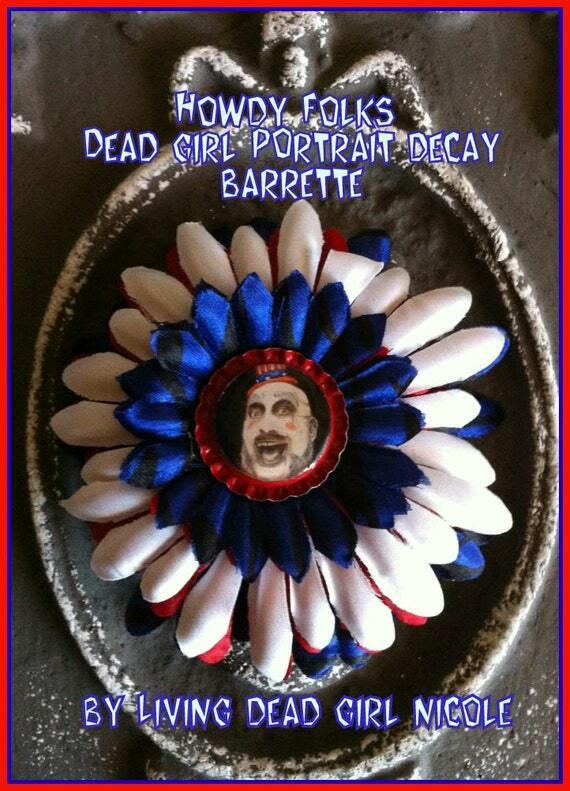 Dead Girl Decay: Red, White and Ghoul! In celebration of the 4th of July weekend and just for fun here are some red, white and blue items available in my Etsy Shop! Click on the photos to see full listings.